The Aleph J carries on in the tradition of the Pass Labs Aleph series, combining those elements that were particularly right about the Aleph 3 and 30, and re-thinking those areas open to improvement. 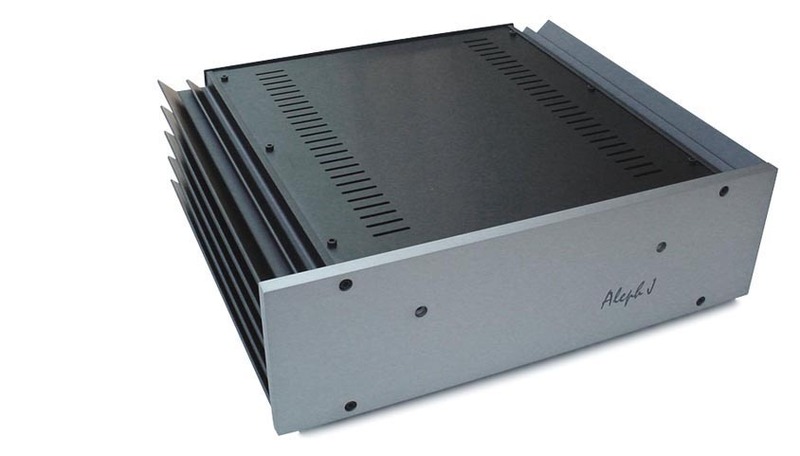 Unlike its First Watt predecessors the F1 and F2, the Aleph J is a voltage source amplifier – a regular sort of amplifier like the ones you already know and love. 5) 15 dB less negative feedback. Some things have remained the same – the Aleph J has the same basic 2-stage topology and uses output MOSFETs operating in single-ended Class A mode. It’s distortion character is still 2nd harmonic, and it’s sound is still natural and liquid. It is still very reliable. I don’t know of a load that can damage it.